I am a huge, huge, huuuuuge fan of sushi. I just cannot get enough of it. However, it hasn’t always been this way. I had my first piece of shrimp when I was 18 years old. I didn’t eat raw fish until about two years ago. As hard as I tried, I couldn’t use chopsticks for most of my life. It didn’t feel natural! My kind and patient Japanese friend Emiko, worked with me for years on my chopstick skills. I just couldn’t seem to grasp it. Maybe it was that the food never enticed me enough to HAVE to use chopsticks- until sushi came along of course. Sushi. It is light, yet filling. It is colorful, flavorful, full of great textures and in my opinion, it’s food art! I feel like a kid on Christmas morning when my rolls are presented to me. And, it just feels clean (unless you get the rolls that have avocado, cream cheese, crab salad, tempura shrimp and then are deep fried and smothered in spicy mayo! Still delicious- not clean). You may have heard of a little company (7,000+ employees since their November 2008 opening!) called Groupon. Groupon features a daily deal on the best stuff to do, see, eat, and buy in a localized market. In my case, Salt Lake City. I have been subscribed to Groupon for at least one year but I have never really come across a deal I just HAD to have. Rice Fusion Cuisine located in Salt Lake City serves Japanese, Thai, Chinese , Vietnamese and Vegetarian fusion cuisine. With it’s beautifully modern decor and great ambiance, it is sure to please. And guess what? 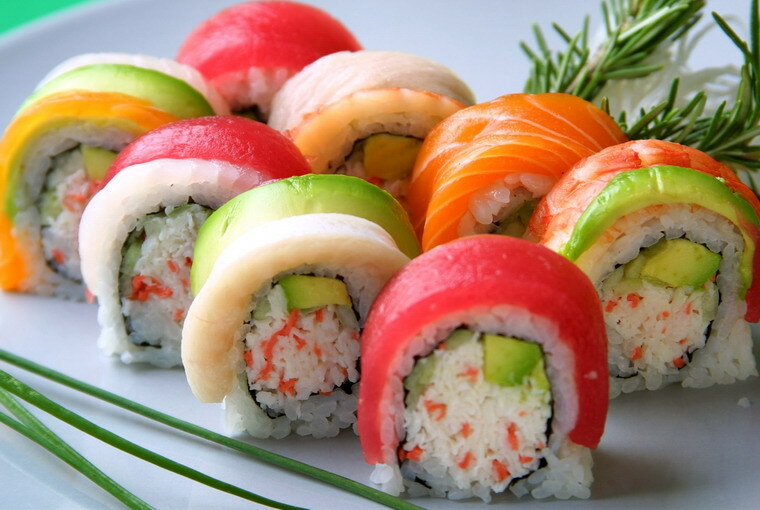 Rice Fusion Cuisine is known best for their sushi. I could not resist. Today only, you can buy a$20 gift certificate for $10. Click here to get your deal! And, to add insult to injury, here is a tutorial on how to use chopsticks. Taught by a six-year old.